The Eagle Creek Global Companion stands true to it’s name and has shown some solid qualities we’d want in any trusty companion. 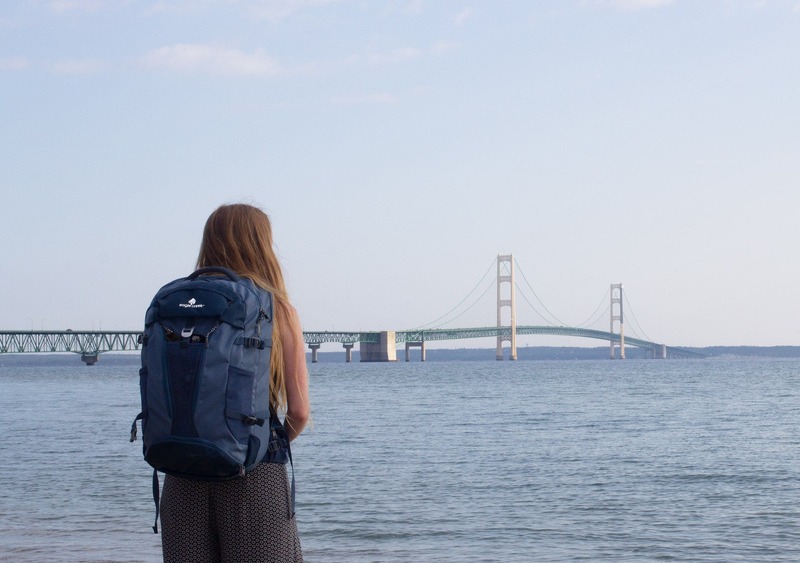 Eagle Creek has been around for more than 40 years, making gear to help travelers all around the world. With helpful tips from travel bloggers, nomads, and more, they’ve conjured up a variety of travel gear to help people travel to what they call “unknown destinations.” We have yet to come across many truly unknown destinations during our travels—which makes sense, given the phrase—but we like that they’re keeping us guessing. We see you, Eagle Creek. We thought it was only natural to test out the Eagle Creek Global Companion to see if it really holds up to its “global companion” expectations. 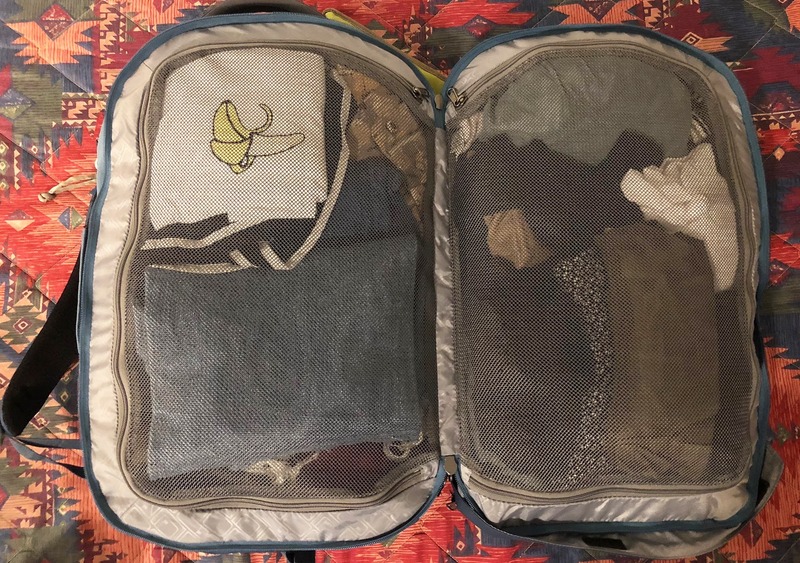 So far, everything is looking good—we’re happy to see plenty of space in this bag, with a healthy dose of organization! Let’s dive into the details. This pack is made of 450D Geo Ripstop and Bi-Tech—which are both bluesign approved and PVC-free fabrics—along with 600D Helix Poly. 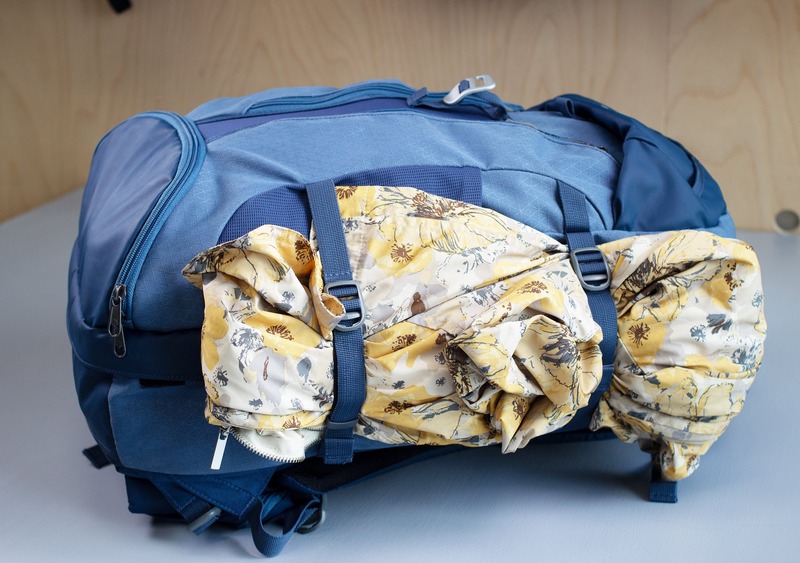 If you aren’t a fabric-holic, that just means the pack is made with some pretty durable materials. As far as color goes, at the time of our purchase the pack was only available in Smokey Blue and Black. If you’re purchasing the women’s version you can also choose Crimson, which is basically a shade of purplish red. Shockingly, we switched things up from our usual choice and went with the Smokey Blue! The online picture looks a tad lighter than what showed up, but we figure the darker the better, as it won’t show much dirt that way. 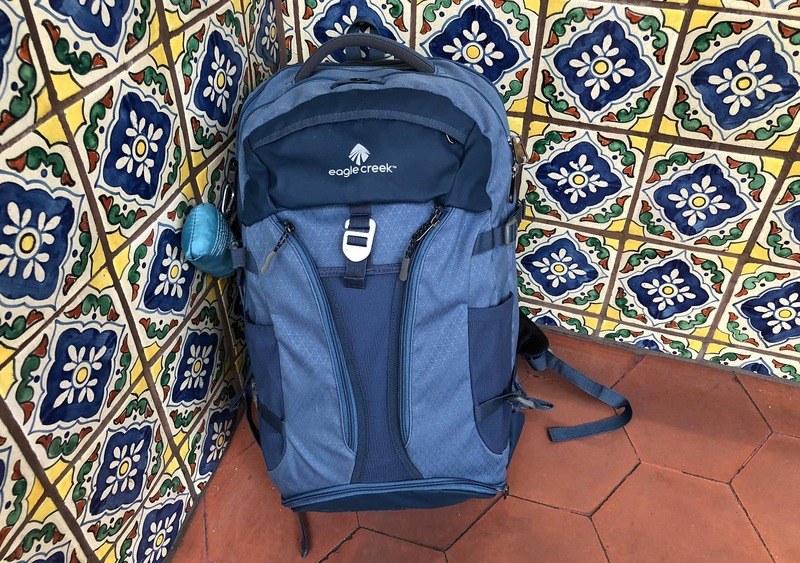 The exterior branding is minimal, with one Eagle Creek logo towards the top of the bag and one small branded tag on one of the shoulder straps. In our opinion, it’s nice to keep things simple with minimal branding—although, we wouldn’t call the pack “simple.” This thing has loads of pockets and features that are very visible at a glance. You’ll most likely stick out as a tourist wearing this compared to something like the Aer Flight Pack 2, however, we’ve really been enjoying the features the Global Companion pack has to offer. 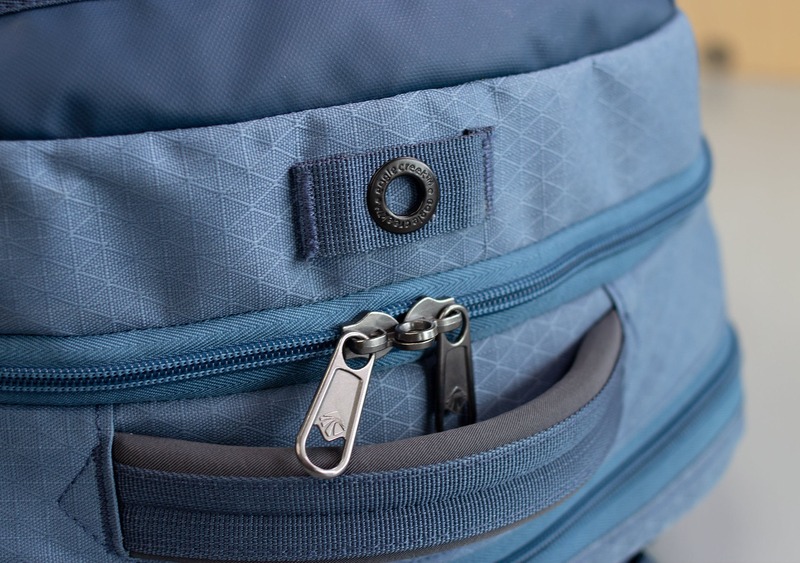 In addition to it’s loads of study fabrics and plethora of pockets, Eagle Creek is keeping us happy by using durable Duraflex and ITW hardware, which we really love. The front of the pack has a lot of organization going on. 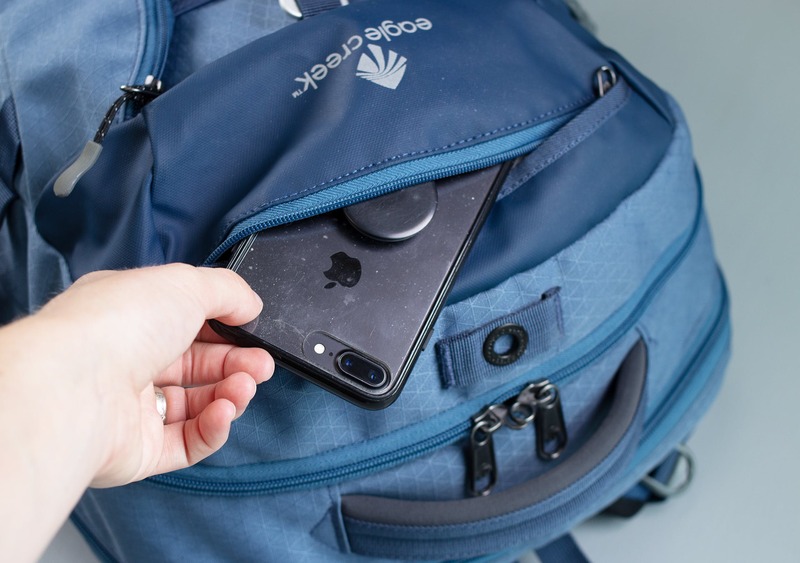 Starting with the top and working our way down, there’s a small quick-grab pocket that is great for storing your phone and passport when going through airport security. We used an iPhone 8 Plus and it fit with some space to spare! 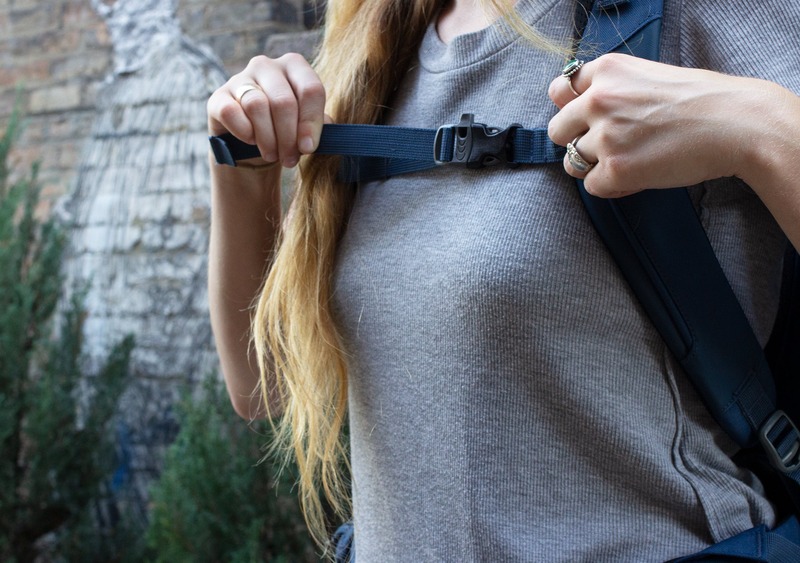 Directly underneath the quick-grab pocket lies a mesh stuffer pocket secured with a bouldering hook, which we’ve found handy for damp items or larger items such as an extra t-shirt or sweater. The mesh stuffer pocket is pretty roomy but it does get comprised a bit depending on what you place inside the two overlapping zippered front panel pockets. We’ve found these two zippered pockets to be very handy for organizing tech gear and other small travel objects. 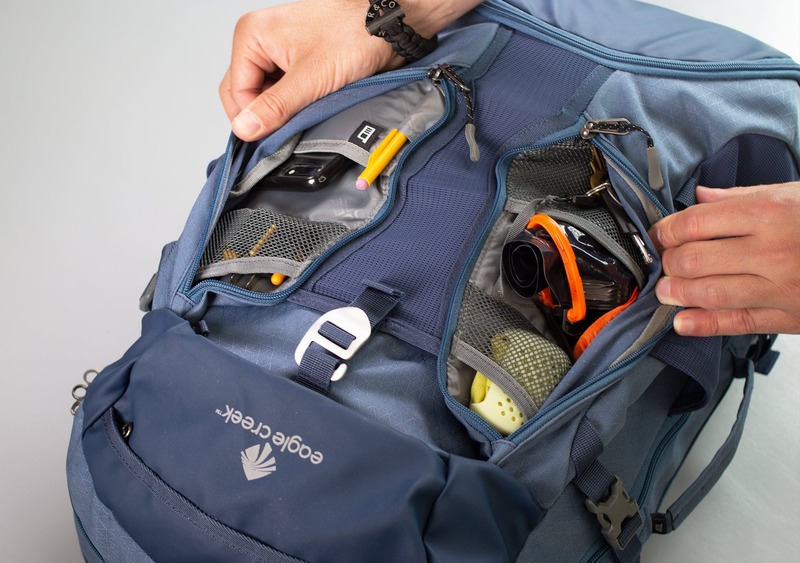 One of the side panel pockets contains two mesh slip pockets—one large and one small—along with a plastic carabiner. 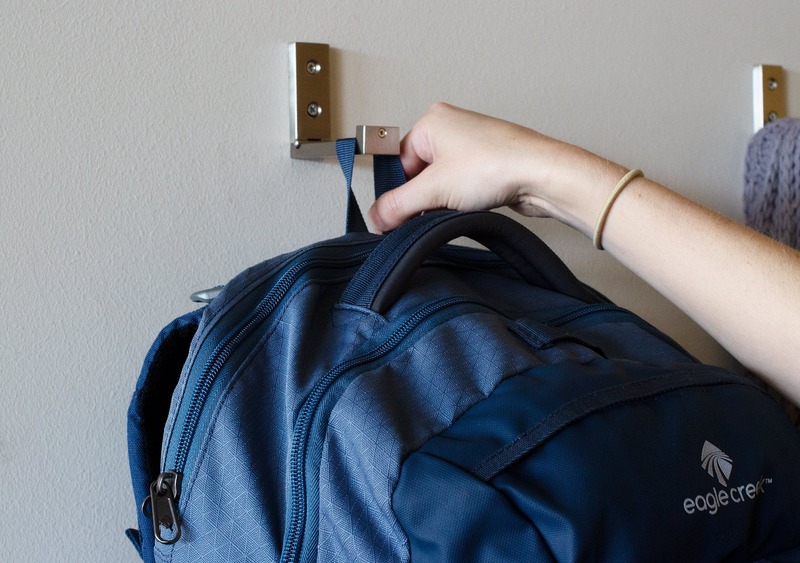 We’re not huge fans of the plastic carabiner as it feels a bit cheap, but it should get the job done, at least for a little while. The other side panel pocket has one small mesh pocket and a padded electronic pocket, which is another great place to store your phone. There’s also a sneaky metal d-ring that can be utilized for securely locking the zipper when utilizing this electronic storing pocket. We thought the side panel pockets were super useful—however the shape is a bit weird—they’re quite curved, which compromises the space inside them just a tad. Unless you’re stockpiling bananas in here, in which case you’ll be using that space very efficiently! Next to each side panel pocket there are mesh side pockets that are super stretchy and great for water bottles or tripods. Just be aware that the compression straps do overlap each of these pockets, sometimes making it a bit tricky to access when fully packed. The compression straps can be adjusted on both sides but can only be completely unbuckled on ONE of the sides. However, we wouldn’t worry about this too much as we’ve gotten pretty used to which side unbuckles. This also isn’t an issue when accessing the main compartment, since the zipper only extends to right above the non-buckle compression strap side, but it’s definitely worth noting. The compression strap system also works well for holding onto a jacket when in need. Right underneath all of these front pockets lies the bottom shoe compartment. 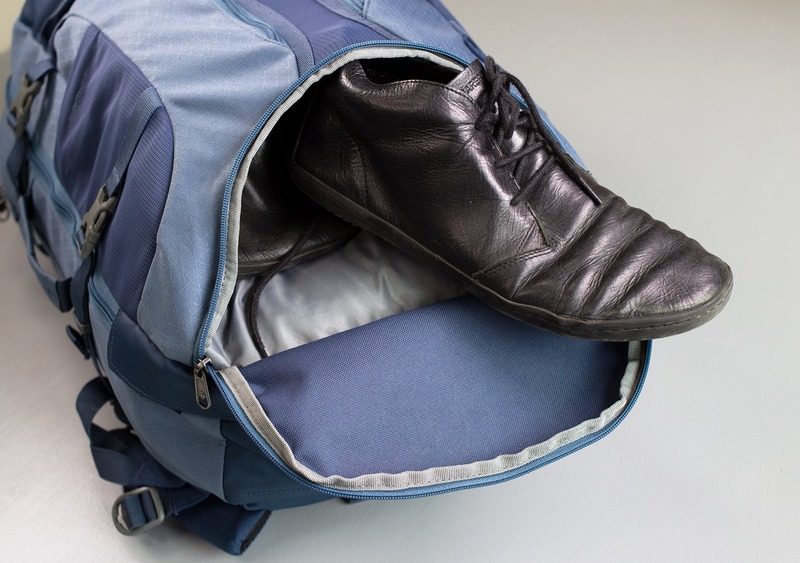 This works well for keeping dirty shoes away from your nicely packed, clean clothing. This compartment is seriously huge—we actually fit multiple pairs of shoes in ours! 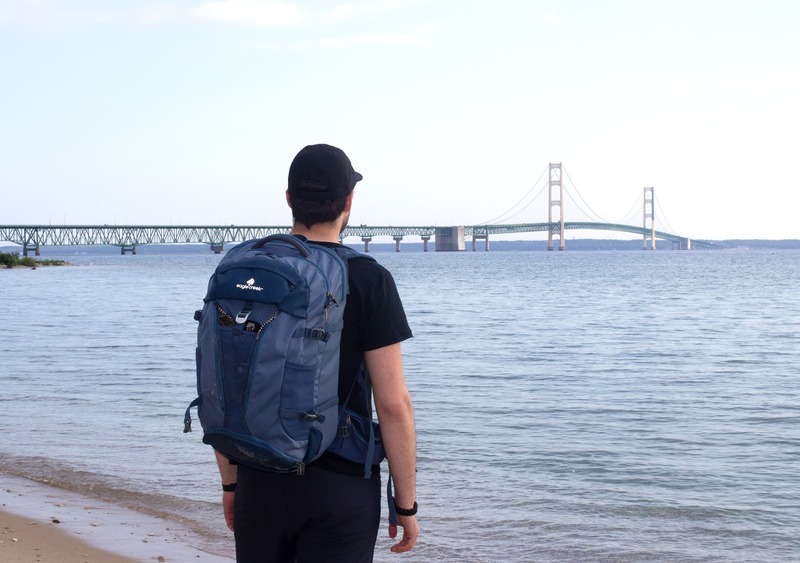 This is always a bonus feature in any pack for us, and we think Eagle Creek has done a great job here. And as if there wasn’t enough handy features already, Eagle Creek also added a Velcro pocket at the very bottom of the pack that includes an attached tuck-away rainfly to help protect the pack in heavy rainfalls if needed. Remember how we said to be careful of your items getting damp in the rain? Throw this thing on to be extra safe! Aside from all the pockets, Eagle Creek has also added a small handle for hanging at the top, along with a beefier handle for quick grabbing. 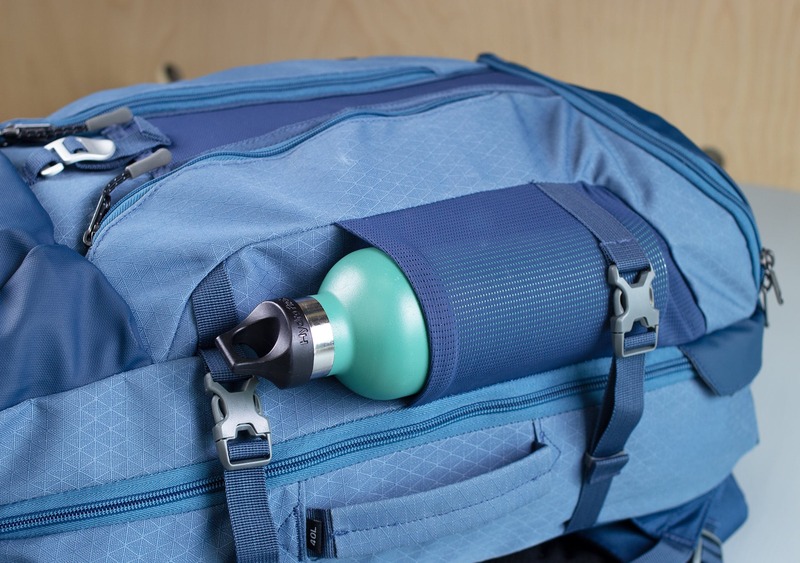 There’s also the option to grab the pack by the side handle, which isn’t as thick as the top one, but still a good option when in a hurry or stowing your pack in the overhead bins of an airplane. It’s also worth noting that there are Velcro attachments at the bottom of the pack that attach around the zipper. We found these to be a bit bothersome when zipping and unzipping the pack—but nothing that keeps us from using it. However, we have noticed they do help protect the bottom of the pack, which is always a plus. And that takes us to the harness system—which is, let’s just say… large. Eagle Creek says they designed the shoulder straps, back panel, and hip belt to be ergonomic and moisture wicking, which we think holds true. The shoulder straps are a perfect amount of thickness with mesh padding that holds comfortably. The straps have load lifters, along with an adjustable sternum strap that has a small safety whistle built into the buckle. 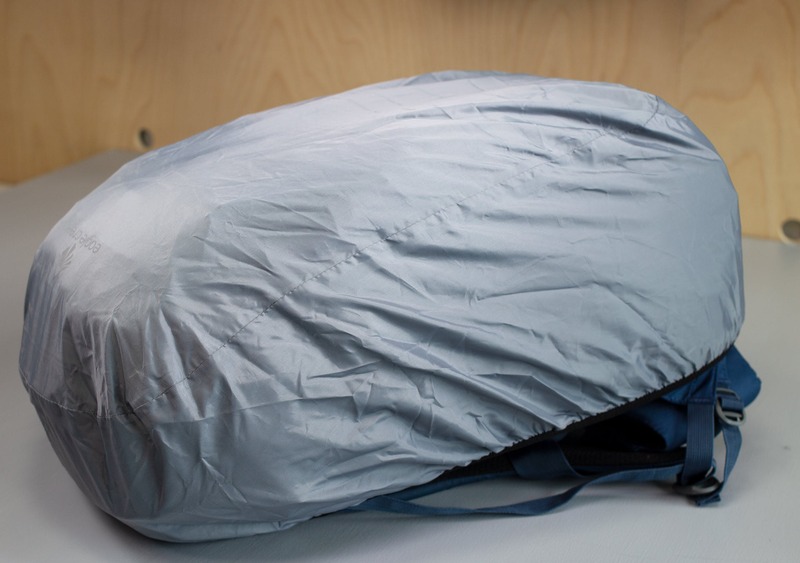 The back panel offers some hefty padding that feels really great for both everyday carry and heavy loads. Now, as great as this entire harness system is—it is very stable, we’ll give them that—we do have a couple gripes here. The hip belt is pretty bulky. It offers a similar mesh padding to the shoulder straps, plus it has a 3D mesh pocket on one side, but we wish it was removable. 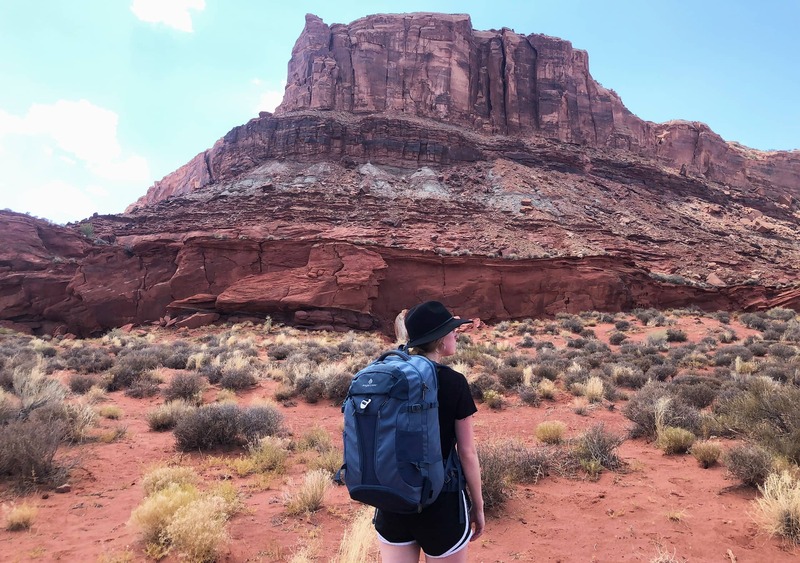 It works well for long treks and offers fantastic support, but it’s gotten in the way when quickly throwing on the pack far more times than we’d prefer. Additionally, there seems to be quite a bit of “strappage” going on, even with the additional plastic keeps provided on select straps. So for those wondering, this pack is decidedly not a member of the #danglefreeexperience club. But moving past those setbacks, there is one feature we love—a great central lock system. 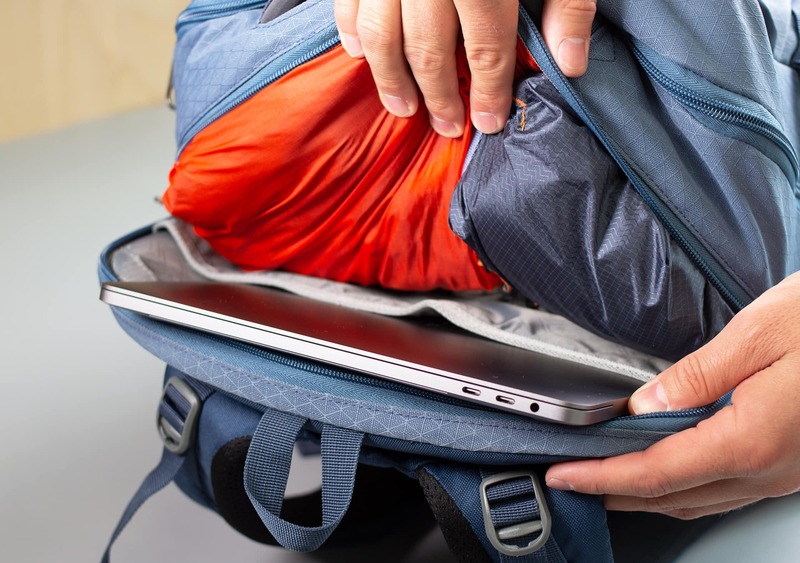 This means you can lock the larger 8N lockable zippers to prevent access to the main compartment—along with lock systems for the laptop compartment and electronic pocket, which will keep your valuables extra secure and give you some peace of mind throughout your travels. Moving on to the interior components, the main compartment has a large clamshell opening that exposes two mesh packing compartments on each side. These compartments are pretty much the same size, but keep in mind that all these other pockets will compromise this space. These large mesh compartments work great for packing cubes or rolled up clothing—whichever you prefer! In addition to main compartment there is a separate 17-inch padded laptop compartment with a false bottom that can be accessed by it’s own zipper at the top of the pack when the main compartment is zipper shut—OR it can be access from inside the main compartment when that area is unzipped. The choice is yours! Easy access for on the go, or open up the clamshell main compartment to also have access. However, with the latter option, you may find the laptop compartment a bit buried by your items in the main compartment! We’ve preferred to use the easy access option while on the go for the sake of convenience. Directly above the internal laptop compartment access sleeve, there is a Velcro strip that is barely noticeable. This Velcro strip when opened leads to the sturdy frame sheet. We’d suggest not messing around with this unless completely necessary—and we haven’t came across a reason to do so yet. Other than that, they’re essentially the same pack. We’ve been really happy with the amount of things we were able to fit into the Eagle Creek Global Companion. 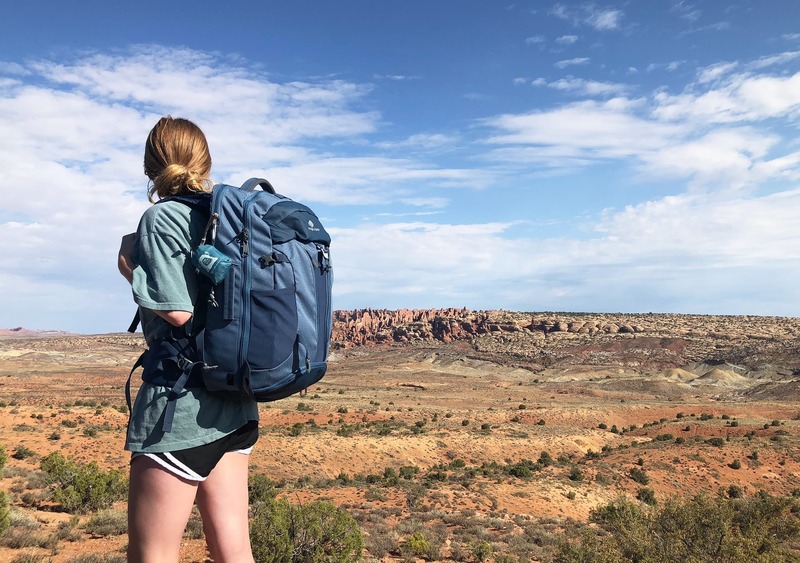 With numerous pockets and smart features, the pack has continued to be a great companion while trekking across the U.S. and more. 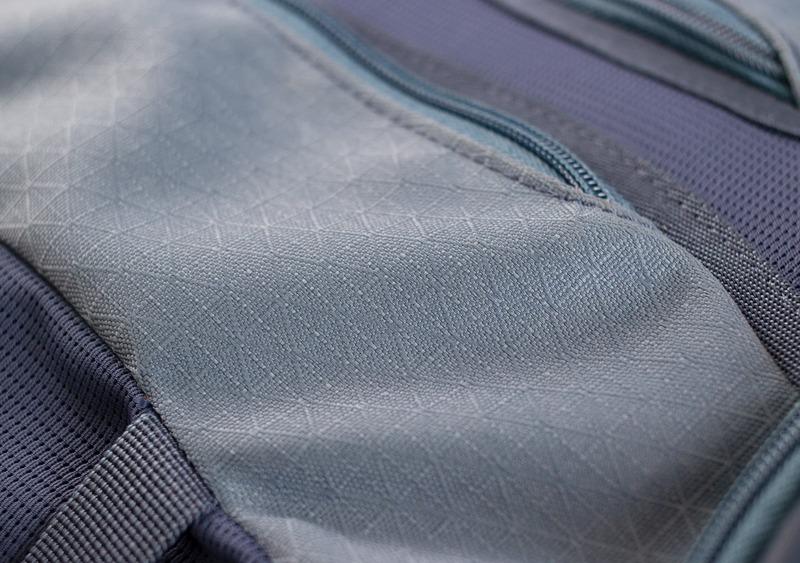 We foresee the pack’s durable materials holding up for the long run—cheers to you Eagle Creek! We’ve only been out in the rain a couple times with the pack, and although we haven’t seen it through any massive storms we are confident that these materials will hold up in short periods to keep your items dry. Just be careful if you’re out in the rain too long! We’ve been tossing this thing onto hostel floors and trekking across the desert with it, and have yet to see any visible blemishes yet—which is pretty impressive! Lots of awesome organization going on! Haven’t found any issues yet—still looking good! Loads of tools to keep your pack organized. Dual access—super handy for quick access to your laptop and more. Awesome harness system for a heavy load or long carry. Front organization pockets are a bit awkwardly shaped for certain items, which can be a bit bothersome at times. Some of the exterior pockets and organization can compromise the interior space. 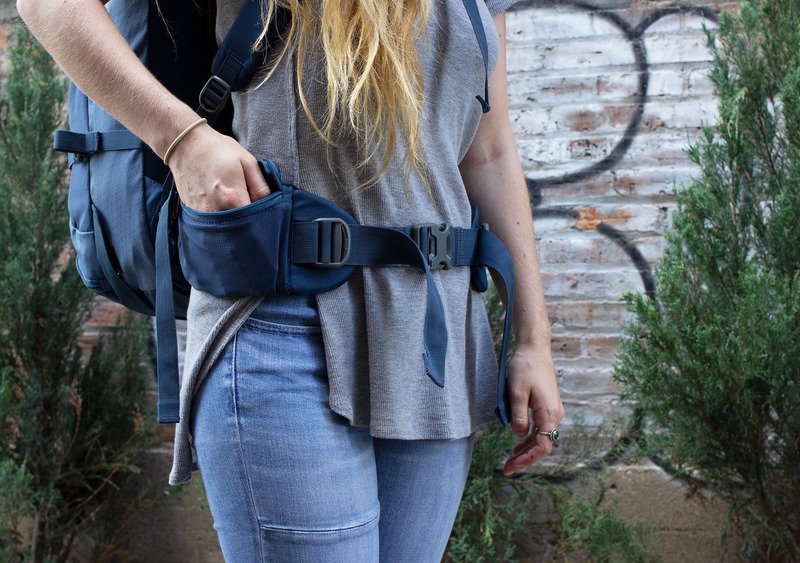 The hip belt is enormous—we really wish this thing was removable when not in use. The Eagle Creek Global Companion truly is a great global companion. 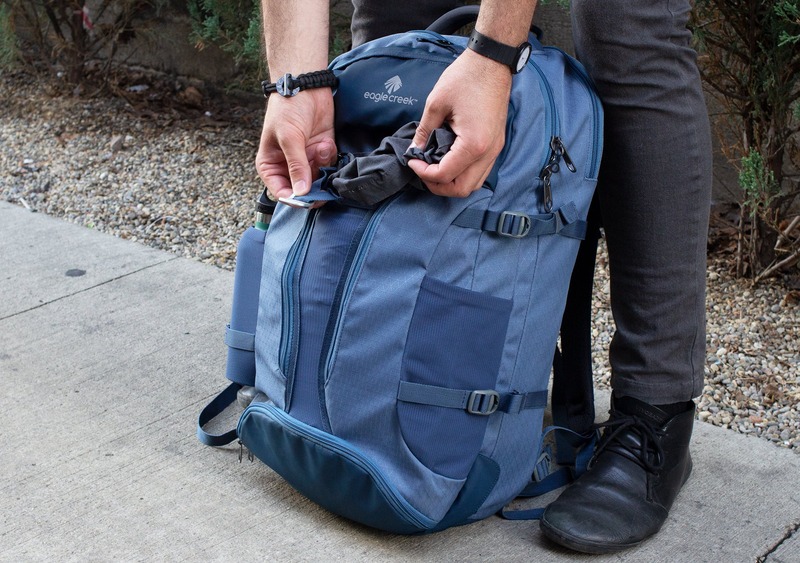 With ample room, smart features, and some tactical organization, this pack has a lot of awesome things going on. We’ve only managed to find a couple gripes surrounding the harness system—specifically the non-removable hip belt—we don’t have a lot more to complain about. 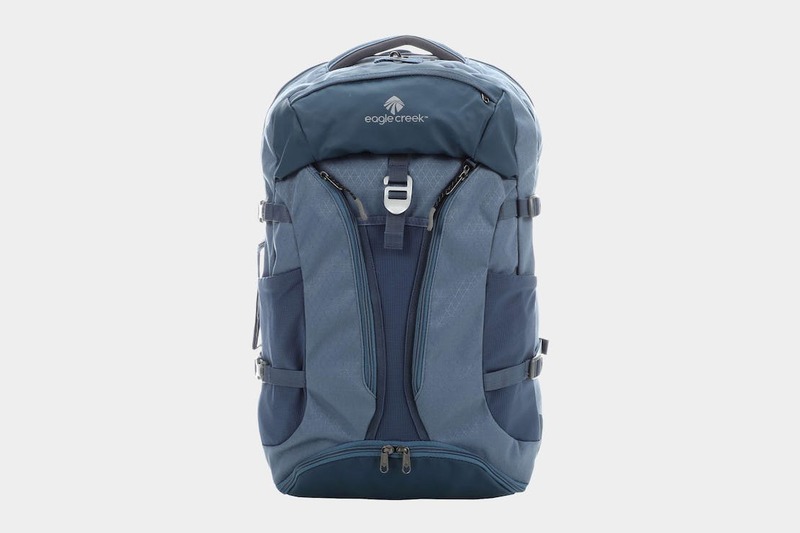 You truly can fit so much into this pack and at the same time, be able to use it as a carry-on item when flying from place to place.